Last edited by Phoenixsong; 11-05-2018, 12:19 AM. 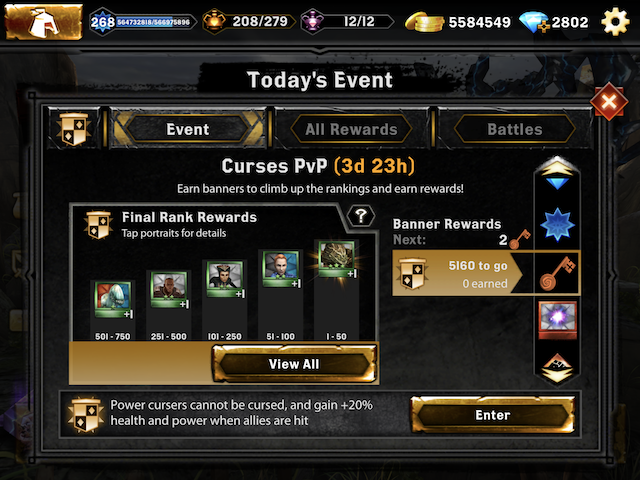 Awesome pvp, I am glad to see 2 more orange keys on the leaderboard. Will you be changing it? I wanted to go for it, but would like to avoid, getting there, just to found out, that it was changed . Thanks. Just picked the 2 orange keys on the ladder. The extra days helped.the climb. After the update, the 2 orange raid keys prize has disappeared from the ladder. Is this intended? Please say it's an error. I was going to grind the later for them tomorrow. I'll check. it shouldn't have changed. Seriously what happened to the orange Key on the ladder? It is now gone. We've pushed the fix to the current event ladder. Tks for the quick fix. The keys are back. Thank you for addressing this quickly.